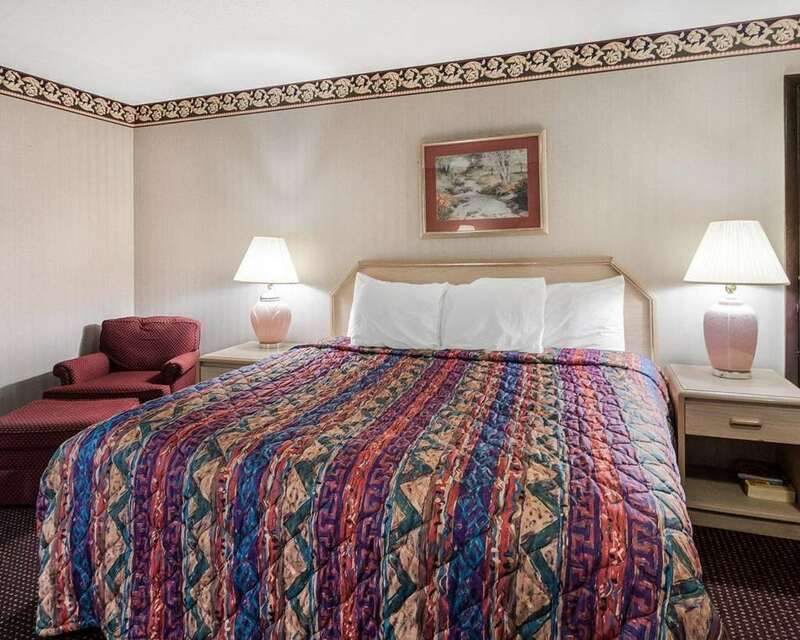 The Rodeway Inn & Suites of Olathe is centrally located near several major highways. We are conveniently located near Two Trails Park and Frisco Lake Park. Olathe Medical Center, Overland Park Regional Medical Center, College Church of the Nazarene, Hollywood Casino and O.P. Soccer Complex are nearby. Several restaurants and shopping areas are minutes away. Hotel amenities and features include free daily continental breakfast and free high-speed Internet access throughout the property. Each guest room includes a refrigerator and microwave. Pet accommodation: 20.00 USD for 1-3 night stay. For 4-7 night stay: 40.00 USD. Longer stays see front desk. Pet limit: max 2 pets per room, up to 50 pounds each.